Our synagogue has a variety of donation opportunities and tribute funds providing ways to support the congregation at all different levels. Of primary importance is the Annual Campaign, which is a critical component of B’nai Shalom’s operating budget. Other meaningful giving opportunities include, for example, dedicating a leaf on the Tree of Life to mark a special occasion or memorialize a loved one, or a Yahrzeit Memorial Plaque. There are opportunities throughout the year to sponsor a Kiddush or a favorite B’nai Shalom program, such as Sisterhood luncheons, special guest lecturer or the Purim Spiel. You may also choose to make a contribution to support our adult education program, learners@bnaishalom.net, the Rabbis' Discretionary Fund or one of many worthwhile designated funds. The B’nai Shalom Annual Campaign supports our synagogue’s myriad programs, including worship services and ritual events, Jewish education for all ages, and the socializing and Jewish living that enriches the lives of all in our caring community. You have the option of making a pledge or you can make your donation on-line. In either case, please fill out the form below. On-line donations are safely processed through PayPal. You will automatically receive a confirmation e-mail after completing the transaction. You may donate on-line or print-out and mail our contribution form to the synagogue office. On-line donations are safely processed through PayPal. You will automatically receive a confirmation e-mail after completing the transaction. To view or print our contribution form, please click the link below. To contribute on-line, please fill out the form below. After selecting a fund, the description with appear in the box below. Acknowledgement Card: Please provide the name and address of the recipient or their family (we will ask for your information on the next screen). Our Tree of Life hangs proudly outside the Gruhin Sanctuary. Buying a leaf in honor of a loved one’s special occasion is a wonderful opportunity to "kvell" about his or her accomplishment and help support our synagogue. Each leaf costs $200. You may donate online or print out and mail the form to the synagogue office. To view or print the form please CLICK HERE. Online donations are safely processed through PayPal. You will automatically receive a confirmation email after completing the transaction. To contribute on-line, please fill out the form below in its entirety. You will be asked for your personal information on the PayPal page. Note: Inscriptions are limited to 5 lines with 16 characters across each line, which includes punctuation and spacing. Our memorial plaques are displayed in both the memorial room located at the end of the Legow Loggia as well as in the Lipka Chapel. Each plaque costs $450. To reserve a plaque in advance please contact the office. You may complete your purchase on-line or print-out and mail the form to the synagogue office with your payment. To view or print the form, please CLICK HERE. On-line purchases are safely processed through PayPal. You will automatically receive a confirmation e-mail after completing the transaction. Rabbi Tobin will review each order. Please allow approximately 8 week for delivery. We will contact you once the office receives the engraved plaque. Putting B'nai Shalom in your will or trust as a beneficiary (specific or residual). Making B'nai Shalom a beneficiary of your IRA or other tax-deferred account. Naming B'nai Shalom as a beneficiary on a life insurance policy. Below is a Letter of Intent form for you to fill out to let B'nai Shalom know that you want to leave a Legacy. As an alternative, you may download a copy of the form. If you have any confidential questions, please feel to call Jeff Lipkin at 973-716-9031 or the synagogue office at 973-731-0160. I want to carry on the tradition of Tzedakah for future generations by providing for the future needs of B'nai Shalom through my estate plans. support B'nai Shalom by making a bequest provision in my will or trust document. name B'nai Shalom a beneficiary of life insurance policy. create a charitable trust naming B'nai Shalom as a beneficiary. use retirement assets designated to B'nai Shalom. This Letter of Intent represents my commitment to the continunity of B'nai Shalom. A beautiful way to honor a special person or create a lasting memory for a loved one is to dedicate a prayer book. 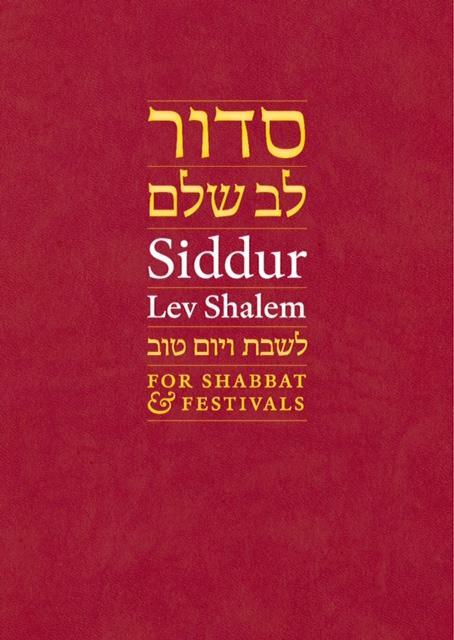 Our shul currently uses three different prayer books; Machzor Lev Shalem for the High Holy Days, Siddur Lev Shalom for Shabbat and festivals and Siddur Sim Shalom for weekdays. 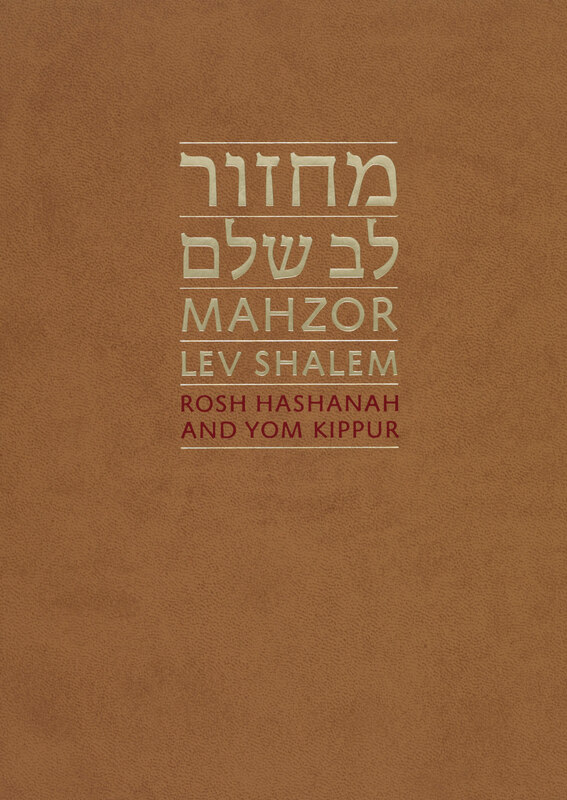 You may dedicate either Machzor Lev Shalem (used for the High Holy Days) or Siddur Lev Shalem (used for for Shabbat and festivals) The cost for Machzor Lev Shalem is $54 and for Siddur Lev Shalem is $36. You may donate online or print-out and mail the dedication form to the synagogue office. On-line donations are safely processed through PayPal. You will automatically receive a confirmation e-mail after completing the transaction. If dedicating 100 or more machzors, please contact Rabbi Tobin in advance. To view or print our contribution form, please click the link below. Note: Each entry is limited to 40 characters which includes punctuation and spacing. Our pricing is based on a minimum of 125 people. Other options are available. Our partnership with Amazon provides cash back to the shul based on your purchases provided you go through this portal page. You will receive the same great Amazon prices and service and we get a few shekels in return. A win-win for all. In order to help you jump start your Amazon shopping experience we have provided a few different links some with specific searches built in. Please note that the gift card link is good year round so it is perfect for holidays, birthdays, graduations or any other simcha you can think off. Remember to always begin your Amazon shopping with B'nai Shalom in mind! Your Email has been sucessfully Sent. We will get back to you soon.